A Huffington Post article, 10 Reasons Why Handheld Devices Should Be Banned, from a couple of days ago has clearly hit a nerve. The link has spread far and wide, with hundreds of thousands of social media shares. The author links to studies from the American Academy of Pediatrics, the Canadian Society of Pediatrics, Kaiser Foundation, Active Healthy Kids Canada, and Common Sense Media as the primary sources that back up her call to ban the use of all handheld devices for children under the age of 12 years. She cites sleep deprivation, obesity, delayed brain development, mental illness, aggression, addiction, and digital dementia as just a few of the detrimental consequences of allowing kids under 12 to use handheld devices. The article comes at a pivotal moment when schools, teachers, and parents are figuring out how students can use mobile devices -- specifically smartphones or tablets -- for the purposes of learning: to create, collaborate, research, share information and opinion, and possibly as an equalizing force in the digital divide. How does this call for a ban on handheld devices square with what parents and teachers believe about the value of devices towards the purposes of learning, whether in or out of school? Should mobile devices be kept from students below the sixth grade altogether? Is a child's age a valid determining factor in answering these questions? 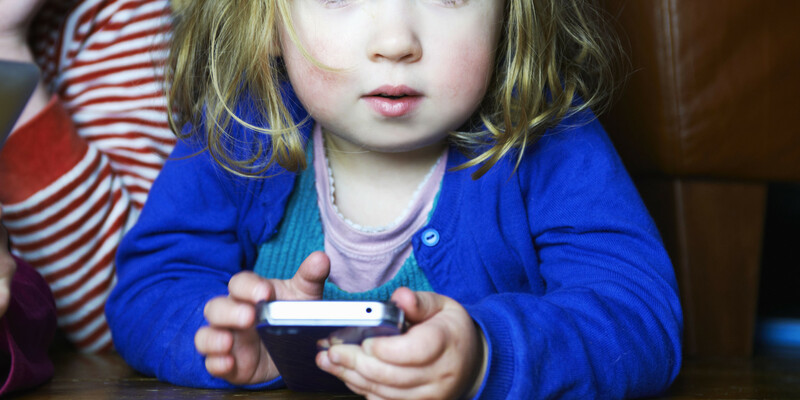 10 Reasons Why Handheld Devices Should Be Banned for Children Under the Age of 12Posted: Print Article The American Academy of Pediatrics and the Canadian Society of Pediatrics state infants aged 0-2 years should not have any exposure to technology, 3-5 years be restricted to one hour per day, and 6-18 years restricted to 2 hours per day (AAP 2001/13, CPS 2010).